Extra ordinary pet care for extra ordinary pets. 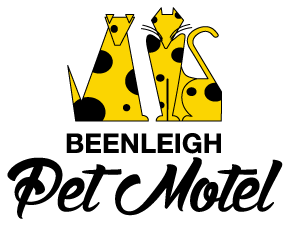 Beenleigh Pet Motel established in 1975 and operated by the present owners since 1988 on large bushy acres, each building was built to the highest of standards with your pets comfort in mind and take advantage of the northern aspects of each building. We cater for dogs, cats, and other pets - Pet Rats, Mice, guinea pigs, laying hens and other poultry. The cattery is positioned far away from the dogcare wings of the acreage with the office central. Designed to make check in simple and the double doors and gates for security. The property Landscaped gardens, lawns and scenic rim views offer a tranquil place of rest and large grassed play areas for fun. We love to care for pet rats and mice. Your laying hens, ducks or other poultry are kept in a safe secure chook tractor and can house up to six. Special laying boxes and waterers are included. Only the best laying mash is fed. The tractor can be moved around the grassed area so they have greens to peck at. Beenleigh Pet Motel is part of our local wider growing community as well as having 25 year membership with Dogs Qld and other business and pet related associations. Helping local events, local kids, work experience in conjuction with local businesses, rescue groups, Logan City Council and local schools. We also offer Salon grooming hydrobathing and mobile service. Each breed and individual dog or cat groom, bath or treatment with be discussed with you on your first appointment. If your dog has excessive matting or skin conditions, treatments and special care may be needed so as to attain results at first. Mainentance clips are recommended 6 to 12 weeks apart.